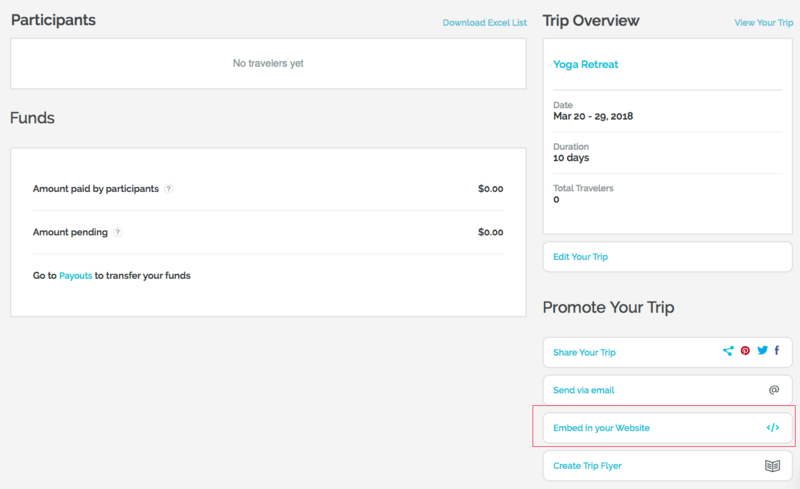 With WeTravel, clients can book your trips without having to leave your own website. 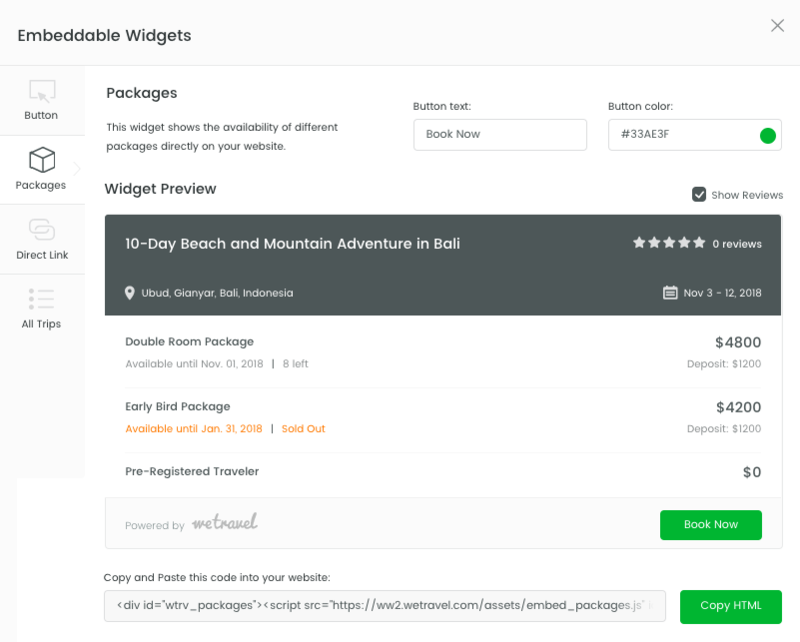 Our embedded checkout process creates an iFrame overlay on your webpage, which makes it easy to keep clients on your website while they're booking their trip and helps with keeping your branding more consistent! 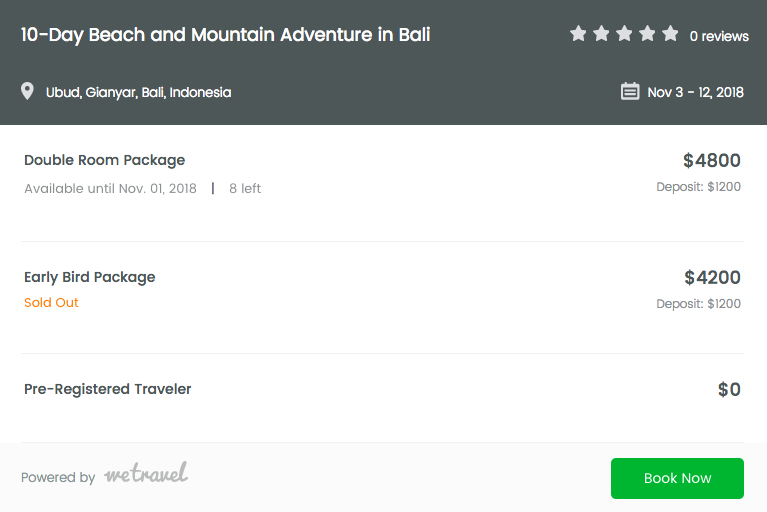 Please follow this short tutorial to embed an overview of real-time availability of pricing packages and a [Book Now] button into your webpage using our packages widget. Here you can customize the text and color of the button of the packages widget. If you prefer not to show reviews please uncheck the checkbox. Copy the code by clicking on 'Copy HTML'. You can now paste that code into your website. It will create the exact package widget that you have just designed. 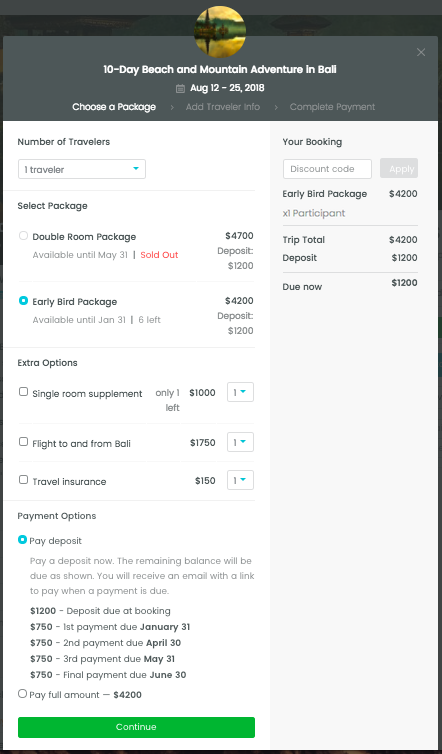 Your clients can see real-time availability for all of your pricing packages. Packages will have orange comments for urgency if there is less than 4 spots available for that package or if the availability date is less than one week from the current date. The WeTravel packages widget works with custom websites, WordPress websites, Squarespace, Weebly and many other web platforms. Please note that the overlay feature does not work with the hosted WordPress "Free" and "Personal" versions and will have limitations with certain Wix templates.